What can you do to keep the travel cost down? Use these London Travel in Budget Tips for you hotel booking! Discover HOW AND WHEN TO BOOK YOUR ACCOMMODATION IN THE UK OR ANYWHERE IN THE WORLD! With no hesitation London is one of the priciest cities but not in the entire world. If you are questioning How To Make Your Hotels reservation less expensive, Read This! Booking resorts and accommodation may appear complicated but there are many ways to find best London travel in budget to reduce the expenses. However, the prices rely on the type of hotel, area, food menu along with other offered services. The below aspects definitely help you to discover how to locate a cheaper accommodation. The very first thing you should take into account is to reserve your budget accommodation early. Make the hotel reservation at the earliest possible time because later you may be expected to pay a higher price for the same booking. The last minutes offers it won’t perform often. Let’s say you are going to book your selected hotel for your planned holiday and you have few month to make your reservation. We recommend making a flexible booking (Free of charge to cancel or modify). You may think if I book the fixed rate I will get 10% off, why should I choose the flexible rate? However, if you consider the following facts you might change your mind. 1- Sometimes hotels put the higher price for some specific seasons or events, but later if they can;t sell, the price will certainly fall to cheapest level. 2- For the fixed rates or discounted rates you have to pay in advance. But if you chose a flexible reservation, if the prices fall, you are able to cancel the current reservation and make a new booking with more discount and you don’t need to block your money in an agent or hotel’s bank account. So don’t limit yourself to change or cancel the reservation, as your plan might change. Obtaining flexible holiday helps you to find an inexpensive rate due to the fact that the accommodation rates are dependent on room availabilities. for instance, exactly the same room can be sold for various prices at different times. in February, and March of March as well as first two weeks in December, hotels usually offering their cheapest rates. Another great tip for the best London travel in budget is to travel from Sundays throughout the midweek. Mid-week travelling, especially starting from Sundays is the best option for Spending budget for the accommodation. Usually, the mid-week charges are cheaper and undoubtedly the weekends are more expensive. Travelling to any country whilst an event is happening, it will affect the expense of your flight cost, hotel booking and even sightseeing charges. If any activity is taking place, prepare yourself to spend more for the vacation costs. Before making your reservation, you should check the reviews or simply ask our customer service, we will find out for you privately and let you know the advantages and disadvantages of the selected hotel. Possessing your reservation throughout a good is a bonus, especially for the first time traveller. Even if you are a random London visitor, we are able to offer you a flat rate. Therefore no matter how much are the rates in London, you will always have to pay the same price. We know the city, the resorts and the areas in london}. We will provide you with the very best and free hassle service with no extra costs. Why? 1- Simply because we need you to return and use our service again and again. 2- Regardless of what type of deal and how much discount we can get you, still our percentage will be compensated by the hotel and not you. Nevertheless, by using our support you get the benefit of making use of our experiences as well as knowledge for how to save money. Make sure you contact us if you have any kind of question concerning your booking. Our experienced customer services will reply to your request very fast and you have absolutely no obligation to consider our offers. 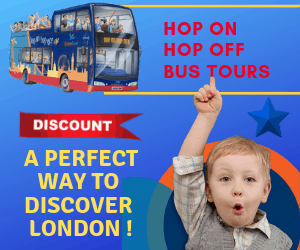 Let us find you the best London travel in budget with no obligation. 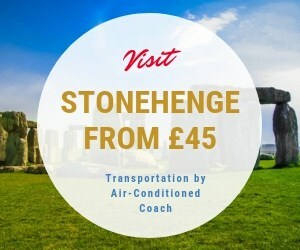 Remember that we can also, arrange your travel from and to the London airports with cheapest possible prices. Next articleWhat Everyone Ought to Know about June Things to do in London?